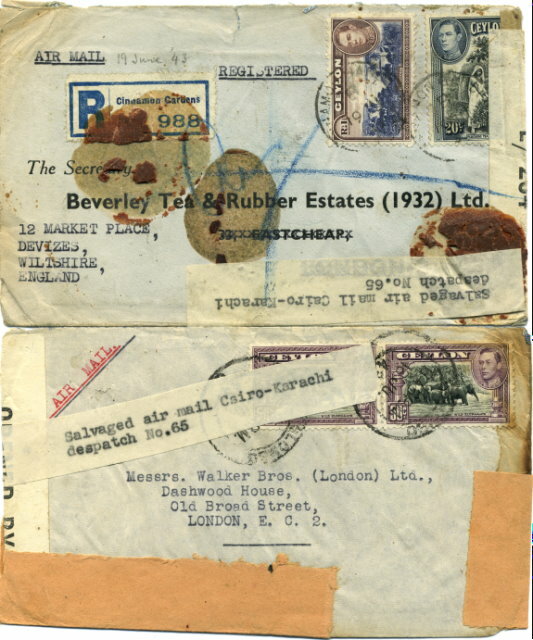 Two envelopes posted in Ceylon recovered from an aircraft crash on the Karachi to Cairo air mail route, believed to have been on 19th June 1943. Little is known of the accident and the plane involved. The salvaged mail had the two-line typewritten label attached: Salvaged air mail Cairo-Karachi / despatch No. 65.